At Angels Care we have four Montessori Rooms. 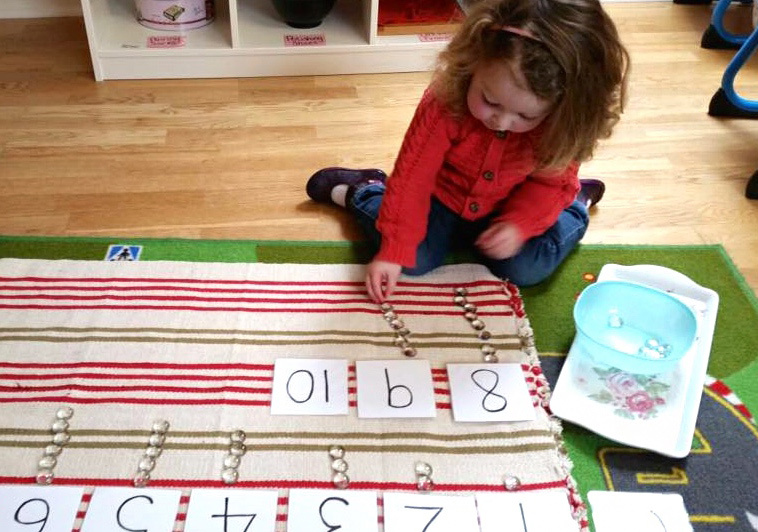 Our Montessori classes run from 9.15-12,15 during school term time. Our Montessori School Curriculum provides an introduction to structured learning in a child friendly, non-threatening environment. 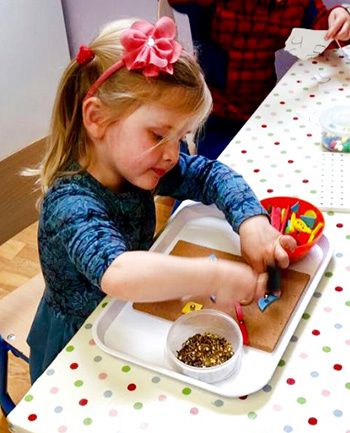 We aim to promote your child's independence, self-confidence and esteem and to enhance his or her social, emotional, physical and educational development. Our curriculum will provide your child with a solid foundation on which to build his or her primary education and ease transition from pre-school to primary level education. Montessori education focuses on the individual needs of the child. The Directress works with the children on a one to one basis, this way the development needs of the children are met. The child learns to become independent and is equipped with life skills. This area is very vast. It ranges from colours and shapes to sounds and tastes. The experiences in this area are great. The children learn new things by themselves with little help from their Directress. These materials also help with order and concentration. This area is endless within the environment. Language lessons, sound games, naming games, stories, and poems are to name but a few. Children are encouraged to express themselves through language. These materials begin when the child shows a level of concentration. We introduce counting, symbols, adding and subtraction. We offer many opportunities for the child to expand knowledge of the world during the early years when they are motivated by spontaneous interest. The materials provided in the culture area spark this interest. Some of the materials in this area are: Land and Water Globe, Continent Globe, World Map Puzzle, picture packets of animals and people in other countries. We also have a Nature Tables in the class rooms. The children will be encouraged to bring in objects, such as leaves, plants, seeds etc. The children will also learn the terms for the different parts of the tree, leaves, and the bird along with the life cycles of the frog, the ladybird and the butterfly. Visiting Hours: 9.30am -10.30am or from 3.15pm - 4.15pm Monday to Friday.